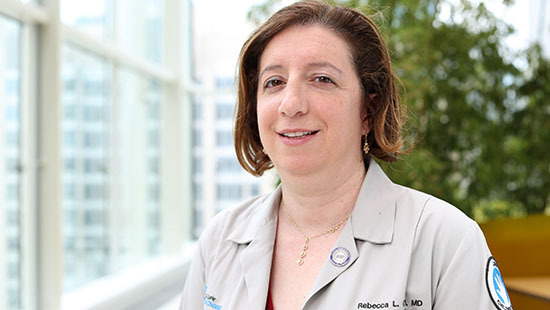 In conjunction with the McGaw Medical Center of Northwestern Department of Orthopaedic Surgery, Ann & Robert H. Lurie Children’s Hospital of Chicago offers a one-year, ACGME-accredited fellowship in primary care sports medicine. We have one fellowship position available each year. In addition to providing excellent clinical training in sports medicine, our program offers a curriculum that includes research, advocacy and community outreach activities. Our sports medicine fellow assists with providing medical coverage at a variety of sporting events at the high school and college level, as well as mass-participation events. The orthopaedic sports medicine team at Northwestern University provides care to the athletes at Northwestern University, the Chicago Cubs, the Chicago Blackhawks and the Chicago Bears. They use operative and non-operative management of sports injuries, including care of meniscal and ligament injuries, cartilage replacement, hip arthroscopy and biological resurfacing. The fellow spends two days per week at Lurie Children’s sports medicine clinics, one half-day per week in continuity clinic and has one half-day of academic/administrative time. During the academic year, the fellow spends one day each week caring for athletes at Northwestern University, in addition to sideline coverage some evenings and weekends. Northwestern is a member of the Big 10 and offers 19 division 1 sports. The fellow also rotates with many other clinical services including musculoskeletal radiology, orthopaedic surgery, adult sports medicine clinics, physical medicine and rehabilitation and physical therapy. Elective time is built into the schedule as well. Fellowship trainees and faculty meet at Lurie Children’s for one half-day each month for journal club and didactic sessions. Additionally, sideline workshops and didactics are offered at Northwestern University, Shirley Ryan AbilityLab and Northwestern Memorial Hospital. The AbilityLab hosts a series of musculoskeletal ultrasound workshops that culminate in a weekend-long seminar. All fellows carry out an original research project. A research rotation early in the fellowship provides the fellow with dedicated time to develop a research protocol. Faculty and certified research professionals provide mentorship and research support. Fellows present their results at Northwestern’s Research Scholars Day and are encouraged to submit research for presentation at national conferences. Applicants must have completed residency training in an accredited program in one of the following fields: pediatrics, internal medicine/pediatrics, family medicine, physical medicine and rehabilitation or emergency medicine by the start of the fellowship. Applicants must be board-eligible or board-certified at the time of their appointment. Our program participates in the National Residency Matching Program. Applicants should apply through ERAS. The deadline is Oct. 1 prior to the year of fellowship start date.